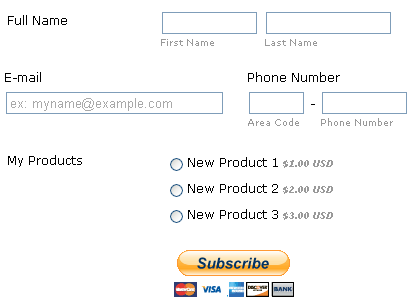 How do I replace the "Submit Form" button with a PayPal button? 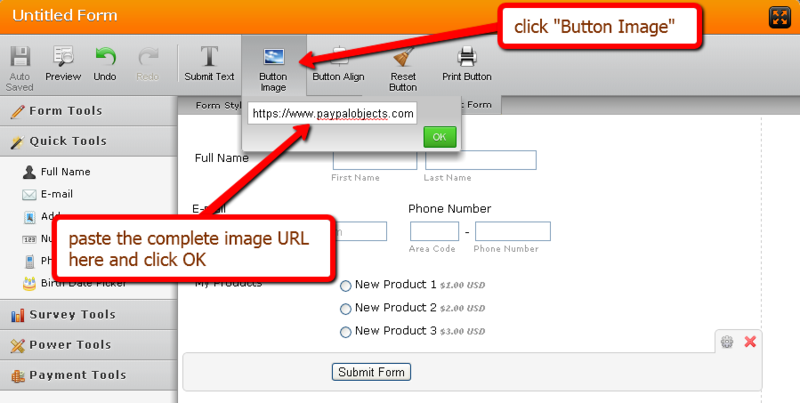 You can replace the default submit button with a Paypal button or any other image by clicking the "Button Image" icon in the toolbar. Then paste the image URL and click OK. Please click here to create a personalized Paypal button if you don't have one yet. I hope you find this information useful. Thank you for using JotForm!